Today's newsies include an up and comer from the Ukraine called The SKIES, the latest Guild Wars 2 Season 2 trailer, WildStar's latest lore venture, the latest World of Warcraft hotfix, PWE''s massive sale on Arc, and EverQuest II's Altar of Malice available for all players to purchase. The SKIES is a new MMO that's in development, which has both a Kickstarter and a Steam Greenlight campaign currently, made by Ukranian development studio, Eform Gamebox. Right now, the game is still in a very early state, where any art seen is likely a rough placeholder model for what we'll see later on. What's interesting is that the devs, rather than creating a post-apocalyptic game with a linear story, want it to have a more real world feel, so the story and your interactions within the game are more organic. Right now, I think it is too early to determine what all will be in The SKIES and how it will function. There will be clan/guild wars, and it seems like there will be a focus on dynamic open world PvP. They're boasting a complext economy system that will have multiple layers, “totally different from the threadbare games players are used to...” This could be totally cool (people loved it in STAR WARS Galaxies) or it could be, well, complicated. We'll be following along and see where The SKIES takes us. I'm a huge fan of post-apocalyptic anything, especially if it's not all up in the zombie business. Yeah, okay, I wrote a BIG OL' thing about WoW already today, but I figured it would be worth mentioning that today's hotfix gives a lil Shammy love. Well, at least Shaman DPS. I'm wondering how bad off the class is if Blizzard is doling out 20-35% buffs. Enhancement specifically gets two 20% buffs. Warlocks get a long list of 8% buffs with a few in the 25% range. Warriors see two 20% nerfs for Protection spec. Mages get one 10% buff for Arcane and one 30% for Fire. The rest of us get minor +/- tweaks. Unless you only heal. Nothing happened for any of the healing specs. Maybe we'll see an across the board heal adjustment, if anything happens. While i'm hoping this is the beginning of class tuning, I hope it's little, subtle changes and we don't get a pendulum swinging everything like crazy. Life's pretty awesome when you're just a dumb dancing bear. WildStar has been working hard on letting players know just what is going on with the lore, but outside of the game. First, they did what they're calling Loremageddon, where the foundation of WildStar lore is told through the eight races. Now, they're introducing Stories, which will end up being an interactive timeline of the history in WildStar. Right now, only the first story – Voyage of the Nomad – is available. Every other Tuesday will bring a new story and therefore a new addition to the timeline. Voyage of the Nomad is the very beginning of WildStar lore, as far as where the story begins, in three parts: Journey Into the Unknown, Noble Ambitions, and Condition Critical. The story begins with the end of the Cassian Empire, as the civilization crumbles and its survivors reach out in search of a new home. Perfect World Entertainment is having a huge sale in honor of National Shopping Day this Friday. If you're like me, you're hiding indoors rather than risking getting your skull bashed in by some crazed bargain shopper. If you've got gamers on your list, head on ovet to Arc Games and see what you can take advantage of. Now's a good time to pick up Torchlight and Torchlight 2 for free or super cheap! Another Vendolyn, still a Druid. Well, since I mentioned that EverQuest II spawned my love of centaur slaying, it's worth noting that Altar of Malice, EverQuest II's eleventh expansion, is now available for non-All Access Members to purchase. The price point is $39.99 for the base expansion or $89.99 for the digital Collector's Edition. 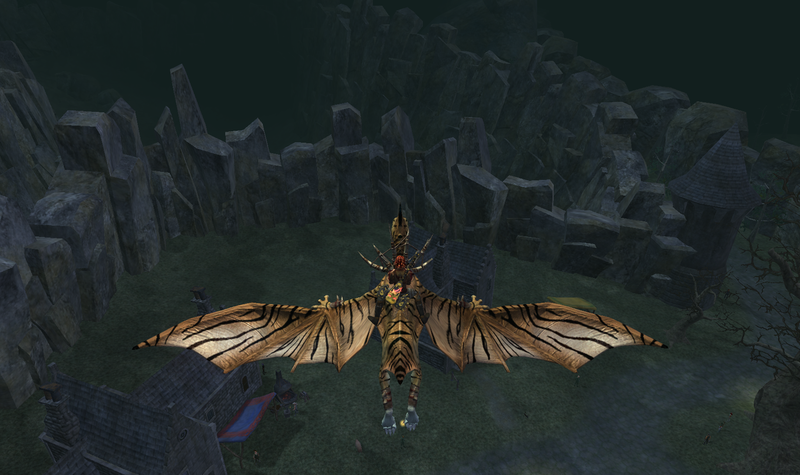 Goodies for the CE include a sweet flying mount and items for your house. With content for solo, small group, group, and raid content, including both normal and heroic challenges, Altar of Malice includes: fifteen Heroic zones, six raid zones, six Advanced Solo zones, two Contested zones, two Overlands, four new Avatars of the Gods raids and over one hundred new quests.